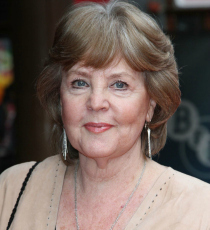 Pauline Collins is a multi-award-winning actor on both stage and screen, best known for Shirley Valentine. Her television credits include Upstairs, Downstairs, Thomas and Sarah and most recently Dickensian. Pauline is also known for roles in films such as Quartet, Albert Nobbs and You Will Meet a Tall Dark Stranger.